1. Working With Animals – one of the most beneficial elements of farming for me, is working with animals. It is the number one reason that I got into livestock farming and the animals’ personalities, which sometimes make the job more enjoyable and sometimes make the task more difficult, certainly add humour to my day! 2. Working Outside – ok, so British weather is renowned for being unpredictable and we do get our fair share of drizzle but I enjoy not being shut inside a building all day and when the sun shines (though if we could stick to below 25c for a while that would be nice!) nothing beats it! 3. Learning New Things – every day is a school day in farming, whether you have been doing it for 2 years or 32 years. Every day is different, which means you face new challenges all the time and therefore have to think of new ways to problem solve. 5. Farming Isn’t Going Anywhere – people will always need feeding and therefore the world will always need farmers. Although the way farmers farm is changing, there will always be a need for this industry to exist. 6. Innovative Industry – due to the importance of farming and the ever-changing world, the industry is very innovative and new machinery and practices are being developed constantly. It’s great to work in a progressive industry that takes the benefits of traditions, whilst still keeping up with modern times. 7. Helping Out Good Causes – in my job I get to help the National Trust with their conservation efforts by allowing our cattle to graze their wild flower meadows. I also help preserve a rare breed of cattle by breeding them and promoting their produce. A lot of farmers use their land in this way, even if the press disagree! 8. There’s No Time To Get Bored – there is always something to do on the farm and the to-do list only ever gets longer. In the busy times such as lambing and harvest, there’s no time to think, let alone look at the jobs list! 9. You Can Wear All The Hats – to be a good farmer you need to have a knowledge of medicine, weather, maintence, machinery, science, driving, sales, marketing, butchery and more! All of these skills can apply to a wide array of different aspects of life or other careers. 10. Farming Helps You To Realise How Strong You Are – farming is a very stressful career choice and will constantly test your limits. From those tests however it will teach you that you are stronger than you ever thought and provide you with self-belief. 11. Job Satisfaction – your job has an extremely important purpose: to feed people. It is very rewarding to know at the end of the day you have helped to feed the nation, and perhaps beyond! 12. Keep Fit – there’s no need for a gym membership when you’re a farmer. Lifting feed, walking through the acres and handling animals will give you all the exercise you need! 13. Play With The Big Boys’ Toys – the agricultural industry is continuously bringing out bigger and fancier machines to help with farming, which means play time is all the time! It is very fun driving a machine that would easily take down a small bungalow. 14. Social Occasions Are Easily Avoided – “a farm emergency” is a fantastic excuse for not attending a social event. It can mean anything – broken fence, sick animal, a birth has started, the tractor broke down, a pipe burst. No need to explain, these things happen! 15. You Know How to Fix Anything – balers twine. Done. Sorted. And you always carry some with you. 16. You Get to Work In and Preserve the Great British Countryside – it is a beautiful place to be and never gets boring. The wildlife, native plants and scenery make a beautiful office for us farmers. 17. You Get to Eat Delicious Home-Grown Produce All The Time – you cannot beat your own produce and once you have tasted it you will never want to eat anything else! Plus it feels like it is free! 18. No Dress Code – gone are the days of suits, heels and makeup, badly fitting overalls and clumpy boots are now my go-to outfit. As long as it’s practical, you can wear what you want! And you never want to wear anything nice anyway because within five minutes it’s covered in mud, faeces and whatever else you can find! 19. No Commute – you’ll be in the minority if you have to catch the tube to work as a farmer and usually the farm is at your home or very close by. This means a few extra minutes in bed in the morning, which I think we deserve! 20. No One Expects You To Be On Time To Anything – your friends/family realise that they cannot rely on you to be good at time keeping because farming rarely sticks to a schedule! You’ll be saved the leftovers of the BBQ or told a start time of an hour before the actual event, but when you are late you can just mutter “farming” and all is forgiven. 21. Variety of Career Options – there are so many sectors in the agricultural industry that your world can be your oyster! 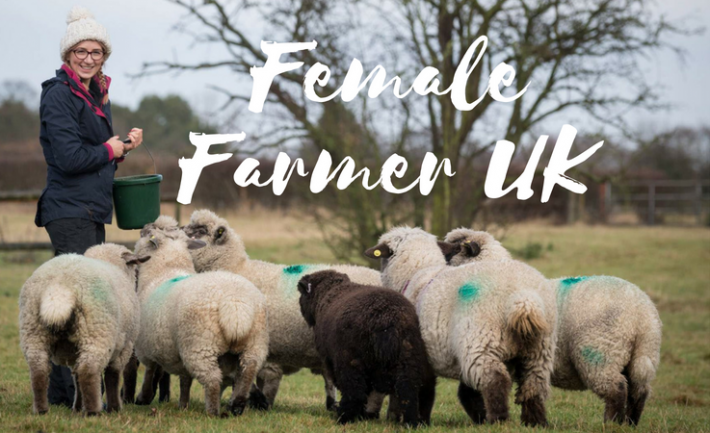 Skills are often transferable and this means you can travel the world looking for the perfect career or through the various sectors in farming! 22. Produce Trade – like most people, I love getting things for free! And trading produce for other products or services can feel like that sometimes! I once traded a pork box for a massage and I often pay my land rent in eggs. 23. Always a Good Work Story to Tell – “How was your day at work?” can often be a bit of a mundane conversation starter, not when you’re a farmer! Something unexpected or hilarious regularly happens on the farm, making a good story to tell everyone when you get home! 24. Part of a Community – one of my absolutely favourite things about farming is the feeling of belonging to a group of likeminded and helpful people. Farmers are often only too happy to provide assistance or advice when needed and there’s very much a give and take relationship in the community. You too can join in with #Farm24 on Thursday the 9th of August, just use the hashtag across social media!